There’s no denying the appeal of beautiful amenities. For those who lead busy lives driven by practicality, they whisper seductively of ‘me time’, indulgence, calm, specialness. For today’s discerning travellers, though, the charm may be marred by the non-biodegradable packaging and petroleum derivatives of those pretty little things. Where once it was enough just to look gorgeous, now products need to deliver on beauty that’s not just skin deep, for a clientele that knows the difference. A barometer of how seriously consumers are taking environmental concerns is the comeback of wall-mounted amenity dispensers. The new generation are sleeker, classier and greener than their forebears and nowadays provide a genuine alternative for luxury accommodation. 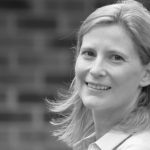 Less well documented, however, is how suppliers are producing small-scale amenities with big green credentials – from their organic, ethically-sourced ingredients to the pollutant-free, fully recyclable and biodegradable packaging. When choosing bathroom amenities for guests, accom providers should be mindful of numerous red flags. 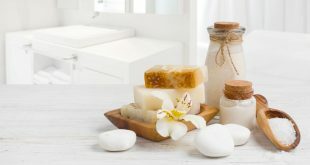 Consumers are increasingly seeking out shampoos, conditioners, and body washes that are free of parabens and phthalates, petroleum-derived ingredients, paraffin, diethanolamine, mineral oil and silicon. Biodegradable formulations which have not been tested on animals are the go-to in 2019. An ethical approach to amenities covers everything from Fairtrade-certified goods to products which give back to the communities they’re inspired by. 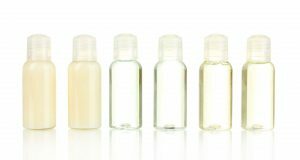 The manufacturer of one amenity range containing Indigenous Australian flora extracts, for example, gives a portion of all profits to an organisation assisting Indigenous communities – an arrangement which speaks volumes about the provider’s world view. Pure and natural are the key to any quality amenity range. Accom is experiencing an industry-wide focus on the twin offerings of luxe and green right now, encompassing everything from energy use and staff practices to straws and food and drink products. Amenity ranges are reflecting that focus with products that are both eco-friendly and luxurious, made with restorative plant actives and healing essential oils. These products not only smell and feel good, but are free of known allergens, are increasingly using certified organic products such as manuka honey, grapeseed and green tea, and are formulated using skin-friendly, eco-certified preservative systems. Hand-made and vegan options are becoming commonplace. Footprints are no longer the sole concern of your cleaners. The mileage on your amenities matters and their green credentials show your business cares about the planet. Locally-sourced, whether it means within a region or a country, is a description valued by travellers seeking holiday experiences which connect them with place. 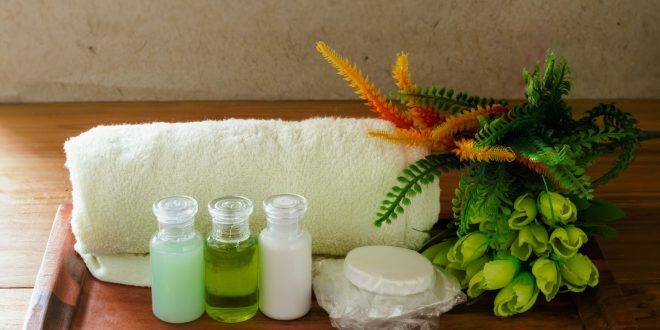 Guests often take amenities home as a memento of their stay, so providing eco-friendly products is a powerful way to position and differentiate your brand. Accommodation providers should look at the biodegradable or recyclable nature of packaging. If amenity bottles are recyclable, follow through on ensuring the facilities are in place to collect the bottles and package and treat them correctly. Excess packaging is becoming a trigger for irate online rants, so avoid products which are overwrapped. A number of companies are now offering products made with 100 percent post-consumer recycled plastic or bio-degradable packaging films. Oxo-degradable films which contain an additive designed to speed breakdown in landfill through a combination of heat and oxygen. An alternative involves adding an organic additive which breaks down the packaging film in conditions which don’t require light or oxygen by attracting the oil-eating bacteria present in landfills and composting sites. Bioplastics – films made from sustainable resources such as wood pulp or corn starch as opposed to petroleum. One new innovation is the Goodie Bag, a recycled paper bag placed in bathrooms which encourages guests to take their partly-used hotel amenities with them so they can enjoy the remainder of the product, and then dispose of them responsibly. It encourages recycling, reduces waste and focuses attention on the need for guests to play a part in solving the throwaway problem. Another is Soap Aid, a not-for-profit Australian project which collects, sorts, cleans and reprocesses accommodation soap for distribution to communities around the world, then works to provide education on the importance of handwashing. For what it bills a “small annual contribution”, Soap Aid adopts accom providers as a partner – bestowing ethical kudos which might just be the deciding factor for a guest when choosing where to stay in 2019.